He confirmed what I had assumed: that none of the electrical in this house is up to code. They can&apos;t even work on our electric service drop box without replacing it because it&apos;s so old. He didn&apos;t share any numbers with us, but I&apos;m guessing just getting things working again is going to cost us between $3,000 and $5,000. And then I still have to have a heater (that won&apos;t burn the house down) installed. 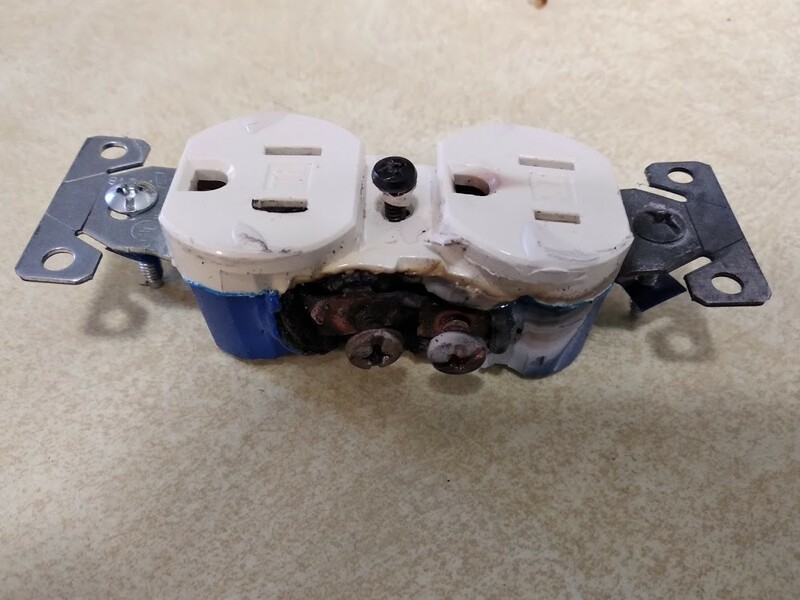 After the house nearly burned down, several other power outlets died. We now have only two working outlets in the kitchen, none in the dining room, and somehow, the only outlets still working in our back room are the ones on the far wall with the TV. We have no way of heating the back room presently so I&apos;ve just got a fan blowing into it constantly to keep it from freezing. I&apos;m tired of people giving speeches on illegal drugs. They should wait for the drugs to wear off first. TLDR: Expect snow accumulations of 5-10" falling mostly Friday night into Saturday morning, where strong winds (15-30 MPH with 40MPH gusts) will result in blizzard conditions. Good news: The forecast temperature dropped enough that most precipitation should fall as snow instead of freezing rain (which would have guaranteed significant power outages). 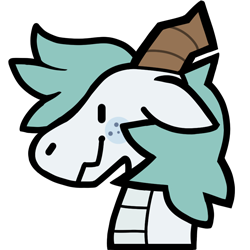 Been feeling cruddy lately, forcing myself to take time off work. HOWEVER I’m super stoked to see that my ✨plush✨ punk stickers arrived! They turned out great! 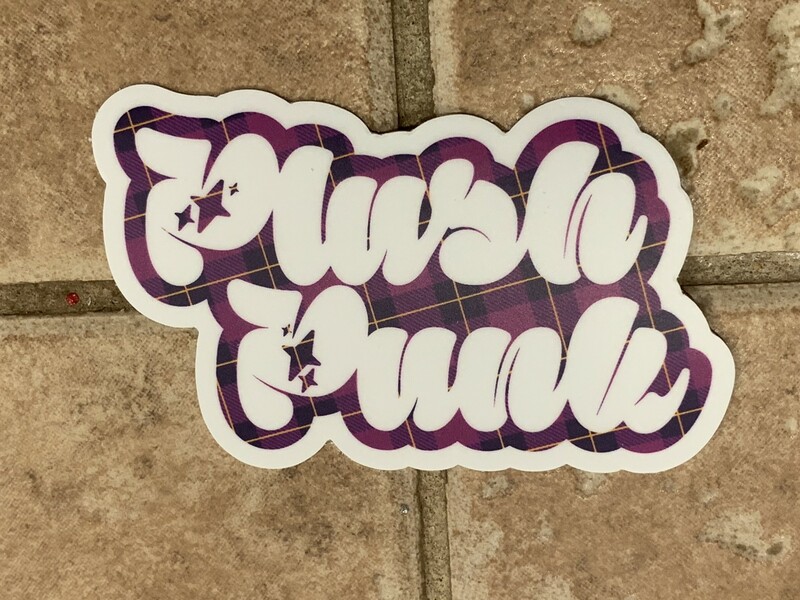 Photos are of stickers in a purple plaid pattern with the words “plush punk” written in a stylized heavy cursive font. 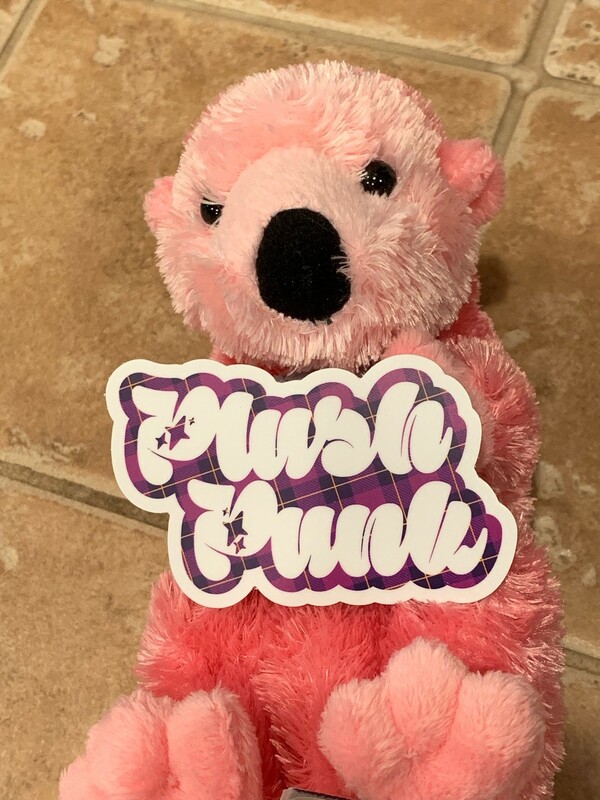 The last photo features the sticker being held by a plush, pink sea otter. Hold on!! We&apos;ve gotta get $thing done for work first! 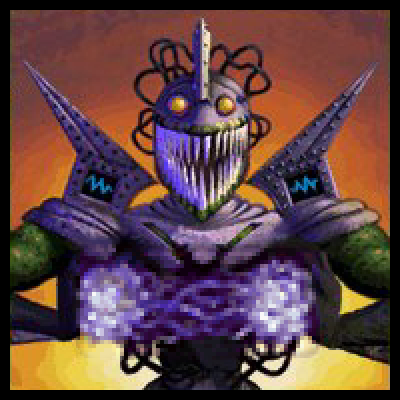 Maybe after? We could make it like one of those campfire folk songs! But like, with beepboops innit! Oooh, maybe a take on the old western storysongs!! Let&apos;s get started!! There&apos;s a long war being waged over trans folk; when you come out as trans, you enter the battlegrounds. For a long time, the only offered way out was to pick a binary and put so much effort into passing that people assume you&apos;re cis. 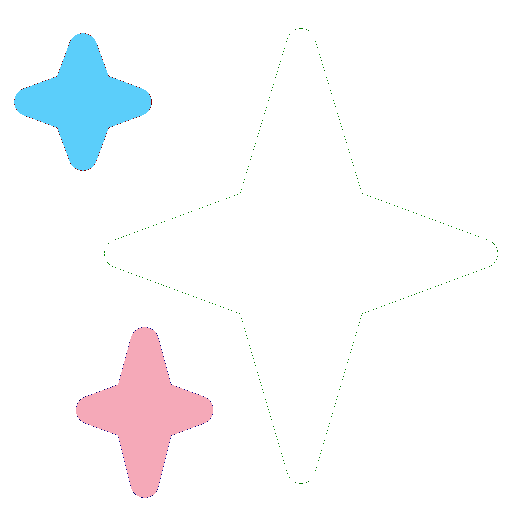 …Until some very brave Enbies started a camp in the no-man&apos;s land between the two binaries. Now that camp has grown, and we&apos;re planting flowers. Some day, these battlegrounds will be a garden. This house has an extension off the south side that was done in the 70s and absolutely nothing about it is up to code. The wiring especially is so bad it&apos;s melted the plugs of space heaters before. This outlet was the 1st drop in the kitchen. All the other outlets on that wall were daisy-chained off this outlet; that&apos;s why it almost caught fire. That backing plate must have been glowing bright red!! 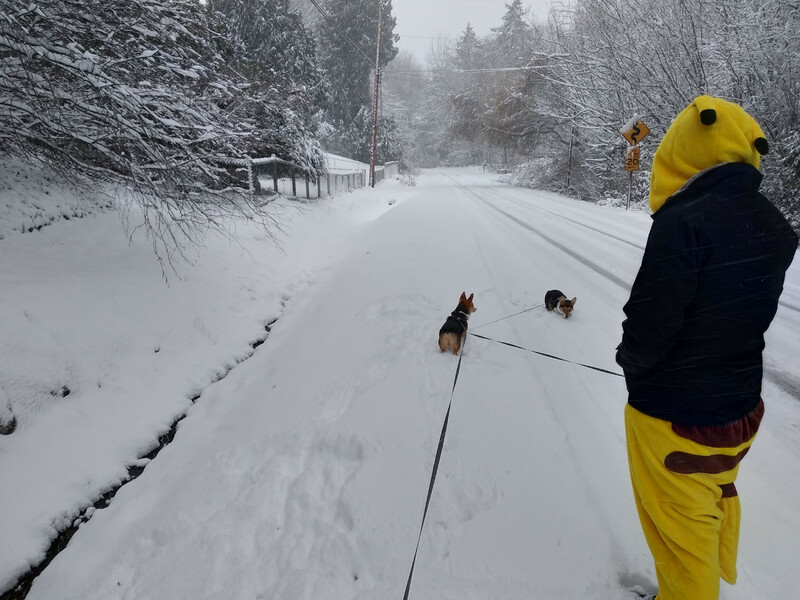 I got to walk Jack and Toast in the snow today!! 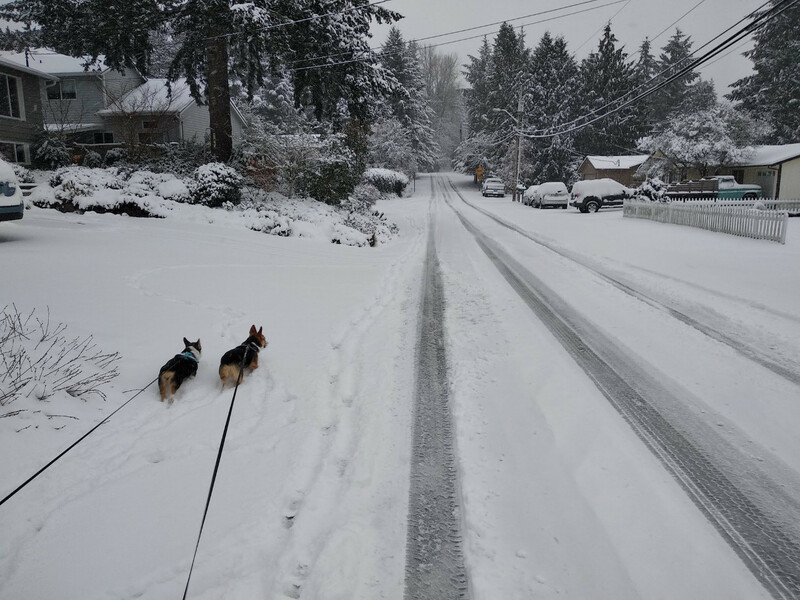 The pups had such a good time -- the 3" (7cm) we got was about the same length as their stubby little corgo legs. I&apos;m S O F F ! 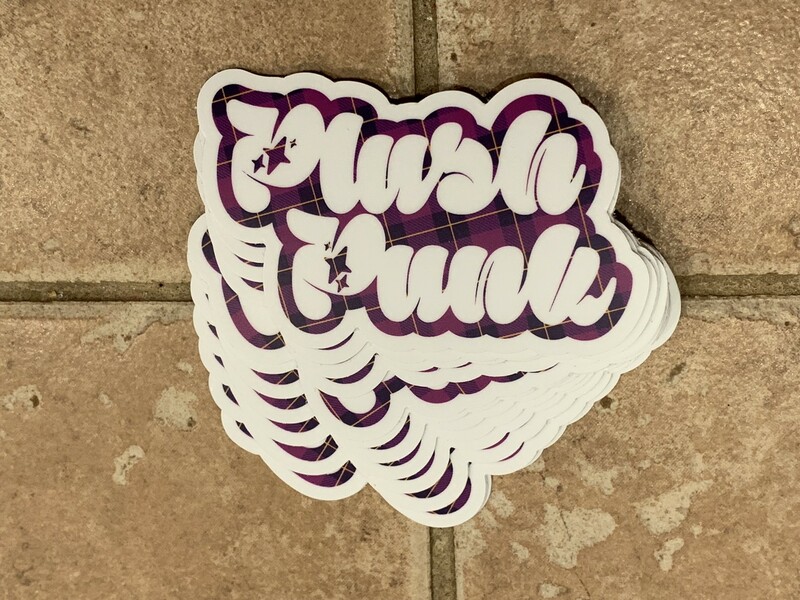 I&apos;m P L U S H ! 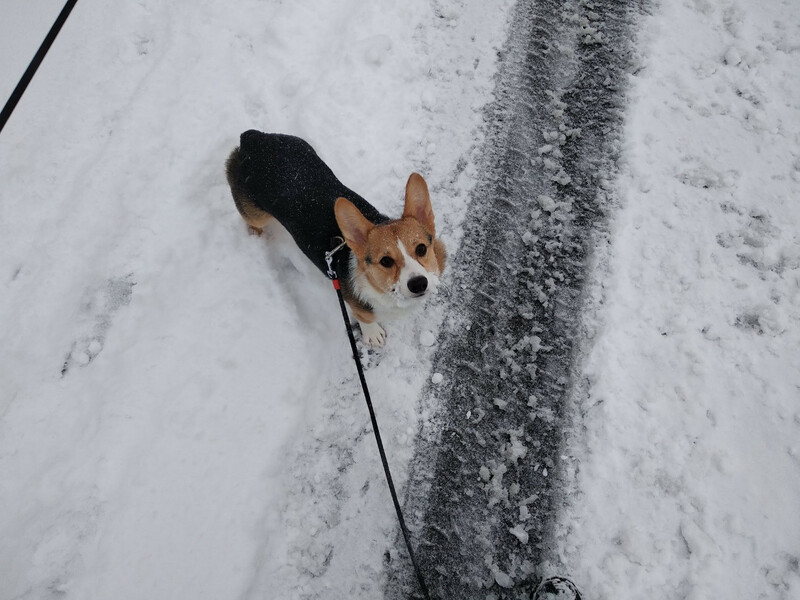 I&apos;m a snow accumulation size queen. 3" is better than nothing but I&apos;m all about 6" and up.